To view the information, PDF requires the use of a PDF reader. This can be installed for free from the Adobe website (external link). Disconnected remnants of an undulating plain are found on the high parts of the Otway Range from near the Parker river to Gentle Annie Hill. The wettest and most extensive part of this undulating plain comprises the Beech Forest land system. All other areas receive an annual rainfall of 1,700 mm or less and the tall open forests, although they reach impressive heights, do not approach the 100 m stands reported for the Beech Forest land system prior to clearing. Most slopes and crests have moderate deep and fertile soils. The occurrence of extremely deep and friable soils in some areas seems to be related to a change in the nature of the Cretaceous beds. 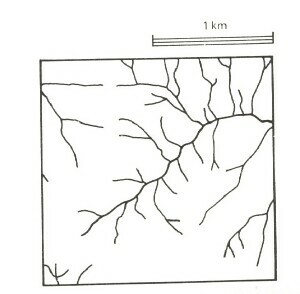 The depth to weathering parent material is often in excess of 2 m in these profiles. The remote nature of most of these plateau remnants has hindered their development for agriculture. Many of the areas originally cleared by early settlers have reverted to dense scrub while others have been regenerated to Eucalyptus regnans or other hardwood species. Landslips and loss of soil nutrients in such a wet climate are the main hazards to land use. areas of substantial settlements being one of the major problems. Uncleared areas: Hardwood forestry for sawlogs and pulpwood; softwood plantations; nature conservation; passive recreation; water supply. Minor cleared areas: Some beef cattle grazing on unimproved pastures; most reverting to native forest or converted to pine plantations. High rainfall and high permeability lead to leaching of nutrients and losses in organic matter and soil structure. 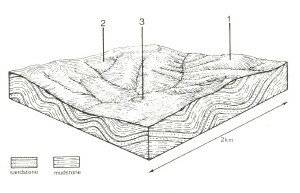 Steeper slopes may be subsequently prone to sheet erosion. High rainfall and moderate permeability lead to leaching of nutrients and losses in organic matter and soil structure. Steeper slopes are subsequently prone to sheet erosion. Clay subsoils on steeper slopes subject to frequent saturation are prone to landslips. High seasonal water table leads to waterlogging and soil compaction.